A rough and riggorous, spectacular and remote route, the 1000K Coastal Mountain Climber is sure to test randonneurs' endurance, mettle, determination and rigor, and provide rewards alike. Begining with a night start in Palo Alto, CA for the first 460 km, climing over the San Mateo mountains to the coast; heading through the night along the coast, down Highway 1 thru Santa Cruz and into Monterey and Carmel for breakfast; continuing down highway 1 through Big Sur before the tourists start to motor, late in the season, fewer will be out as the ride climbs and descends the magnificent coastal cliffs along CA-1 where ocean views and opportunities to spot whales abound. Then turning off 1 at Lucia to climb up Nacimieneto Rd. 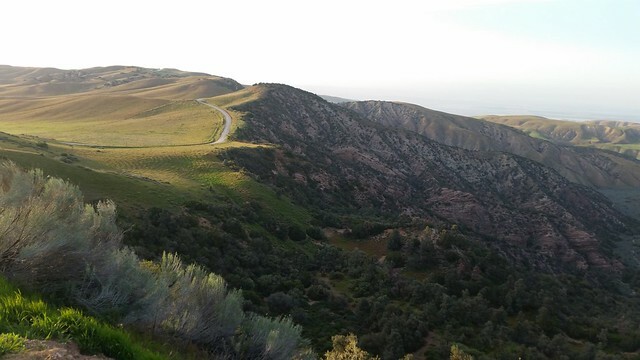 2700' up over the Coast Ridge trail and the Ventana mountains, with spactacular views and venturing inland on remote, rural roads to Paso Robles for the first night. 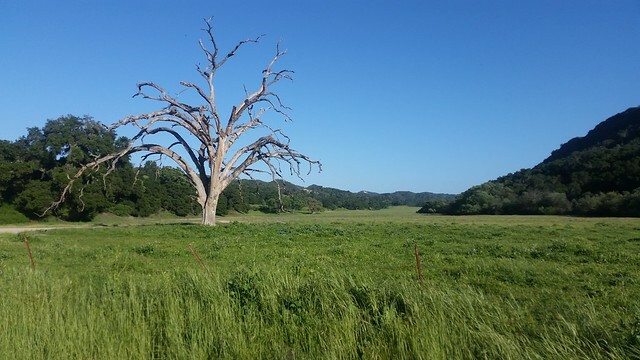 Continuing the next day, 360 km, through Creston and over Pozo Mountain and Hi Mountain Lookout Rd on two 10 mile streches of hardpack dirt road; golden, oak covered hills and valleys, a few hourses and cows and not much else except blue skies and mountain vistas. Arroyo Gande and Santa Maria will make for welcome lunch stops after the long strech from Paso Robles, followed by a beautiful climb over Tepusquet Canyon, then up CA-166 to New Cuyama - 166 is a two lane highway, about 90% recently repaved with desent shoulder but riders should be aware there are many tanker trucks using this route to Bakersfield at high speed and must use caution here. Riders will be happy to turn off 166 and begin the climb into the Bitter Creek wildlife refuge with the opportunity to spot California Condors as they climb up into the Los Padres National Forest with stellar views back across the mountains and down into the Central Valley; finally cresting Apache Saddle at 6100' and descending to Lebec. 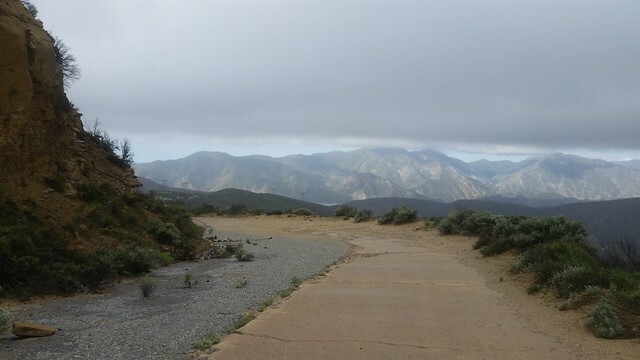 The final day will start atop the Grapevine at Lebec and descend the old Ridge Route, about 10 miles of which is closed to vehicle traffic, paved but much erroded and quite rough. 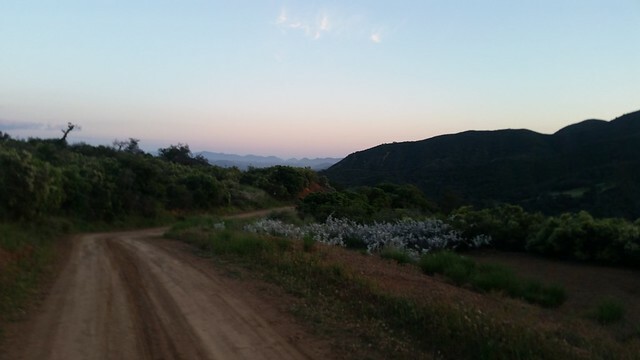 Riders will descend slowly through this section, but enjoy the amazing views and stunning scenery here. 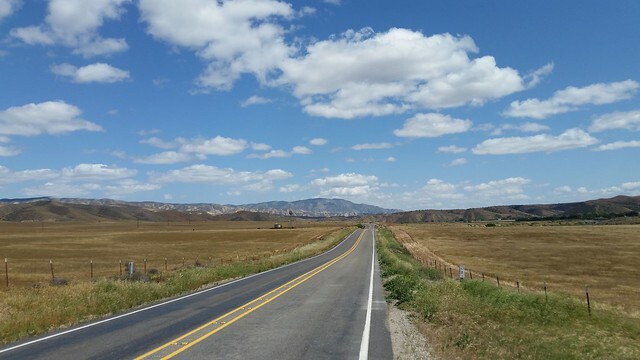 Once returning to the highway, speeds will pick up as riders reach the Santa Clara River valley and pedal through orange groves, have lunch in Ojai and finish in Carpenteria, just 10 miles south of Santa Barbra and a few blocks from the beach (bring your shorts, a swim in the ocean after such a hard ride is the most excellent way to recover!). In order to participate in this event riders should have completed another 1000K or greater event in 2015 or 2016. * SFR will consider reasonable equivalents if you are not able to meet this exact criteria but otherwise feel you can demonstrate being up to this challenge. The plan is for a night start at th Palo Alto Cal-Train Station, easily accessible from either SF or San Jose by commuter train with walk-on bike service. 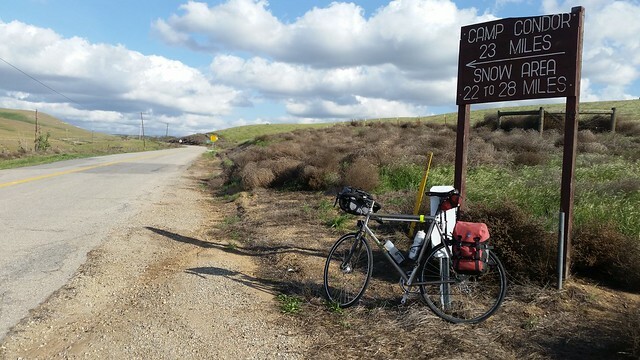 After the evening start, the first day will ride 460 km to the first overnight/bag drop in Paso Robles; followed by a 360 km leg to Lebec, and 175 km to the finish at Carpenteria. Food and Lodging are not covered by the ride fee - There will be bag-drops at each of the three motels on the route (listed below), including the finish, but very limited support otherwise. Food is available 24 hrs at Denny's in Paso Robles and 24 hrs at Jack-in-the-Box at Lebec. Riders must be prepared to be entirely self-sufficient between controls. Much of the route is quite remote, and riders must be able to carry over 50 miles of food and water in hot and dry conditions. It is the responsibility of the participants to study the route and understand logistics. There will be no SAG support. Staffed controls: the organizers will staff the control at Bee Rock (mi 264) after the store closes, and at La Panza (mi 327) with food and water; otherwise, riders should plan on using available services on route. A group rate has been negotiated with these motels and blocks have been reserved. Registered riders must complete their room reservation by Sept 6/7/8 (a rider list will be shared for sharing accommodations). There are additional motels near by, but the drop bags will be at those listed above.